That's about it from Goodison Park. There will be the usual post match content of reports and analysis arriving shortly on Vavel UK so make sure that you give that a read. A first half of nothingness gave way to an improved second half. 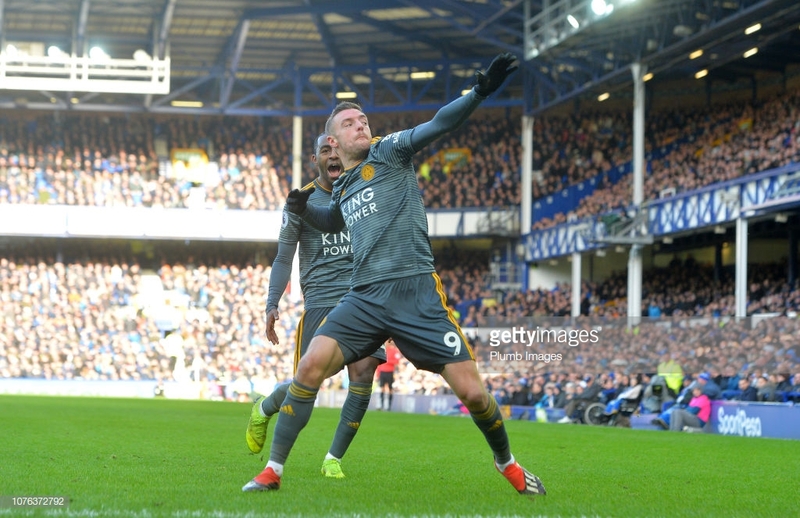 Vardy's clinical finishing gave Leicester the only goal of the match - and the first of 2019 - following a horrendous touch by Keane that was a gift to the visitors. Leicester had more chances to add to their lead, Maguire consistently arriving at the back post from crosses led to a few testing moments for the hosts but not a second goal. Everton were poor, following a first half when they could not string three passes together they had more impetus in the second half but were wasteful with set-pieces and not composed enough when half chances fell to them in the Leicester area. This was probably Everton's worst performance of the season and the boos at full time only strengthened that feeling. Their inconsistent period since that Derby defeat is certainly a concern for Silva. Whilst the win for Leicester was priceless irrespective of how they played. Puel will have won some ground on his critics as he was able to rest Maddison and Gray and still get the victory away from home. That's now nine points from 12 points over the festive period for Leicester. Leicester see it through and they win by one goal to nil. Leicester's goalscorer is taken off in the final minute and replaced by Gray. Schmeichel does well to thwart an Everton chance. The Dane emerged from his goal and jumped to form a starfish which prevented Tosun from managing Everton's first attempt on target. That was impresive from the Leicester goalkeeper as he has been called upon so little this afternoon. There will be three minutes of stoppage time played at the end of the second half. Everton's deliveries into the Leicester area are letting them down. There has been two in two minutes that should have been more accurate and caused Leicester issues with so little time remaining. Having said that, Sigurdsson did cross one decent ball into the area but on that occasion there were no takers in blue as the ball just drifted through with no telling Everton touch. Talking of Everton let offs...Maguire again ghosts in at the back post, this time on the right from a freekick. Zouma is caught on his toes and the England defender is all alone but his close-range volley somehow goes over. That should have been 0-2! Maguire is incensed as he believes Leicester should have a penalty after his back post header appears to strike the arm of Keane. He looks spot on too as replays show Keane's arm was raised unnaturally and hits the ball. Let off for Everton. Chilwell on the charge! After some concerted Everton pressure, the defender comes away with the ball. And continues to come away down the pitch towards the Everton box. Vardy's dummy run opens up space but Chilwell's low right-footed shot is weak and Pickford gathers. Digne then goes into the book for tugging back Albrighton. The sub has made an impact since coming on. Another challenge from Evans on Richarlison. It is a late tackle about 20 yards out and deserved of the free-kick and yellow card that referee Martin Atkinson awarded. It is another set-piece, however, that is wasted by the hosts. Earlier in that piece of play, Evans cushioned his defensive header straight into the path of Tosun who produced a forceful shot from inside the area which Schmeichel was had to repel; hence Evan's eagerness to atone for that mistake by taking out Richarlison. Everton are pushing Leicester back now. Superb work by Pereira who gets past Gueye on the right, takes on Zouma and drills the ball towards Pickford's near post. The Everton goalkeeper can only parry the ball and it falls to Ndidi on the byline who urges Keane to tackle him and the ball goes out for a corner...which is wasted. Walcott is taken off by Silva and Tosun is on to replace him. Walcott has been quiet on the whole today although he did cause Leicester a few problems early in the second half in the deep left area. Everton have a free kick about 25 yards out from goal. Digne steps up to take it with his left foot but it's blocked by the wall. The goal has certainly opened proceedings much more, the visitors are taking the game to Leicester now. Gomes is off for Bernard. It appears that Sigurdsson will move into a slightly deeper position. Just before the substitution, Sigurdsson attempted a half-volley inside the Leicester penalty area but his shot went over the crossbar. In games like this where there is little control from either side and possession keeps being turned over, both team's centre-halves have to be solid and compact. A long ball over the top appeared to be easy enough for Keane to control and relay but the England defender played a horrible touch allowing the ball to fall to Perreira who sent Vardy on his way clear on goal. One-on-one with Pickford, Vardy gave Leicester the lead and cartwheels over to the travelling supporters. The game is much more open now. Everton's turn to attack, their players are now eager to be closer to the Leicester area. Walcott in particular on this near side is beginning to test Chillwell with his pace and urgency. Albrighton again! This time he receives the ball from Simpson on the right side and sends in a cross that Pickford has to back pedal and palm away from goal as Vardy was almost on to it. These deliveries were lacking in the first half and that's twice now that the substitute has brought panic to the Everton defence. Albrighton is already making his mark on this game. He collides with Digne and Pickford as he jumps deep inside the six-yard box to meet a cross delivered from the left. The visitors have started this half on the front foot. I'm back but Ghezzal is not. Albrighton has replaced the Leicester winger, probably with the aim of adding more drive and pace to the visitors' attack. The second half is underway, let's hope that it's an improvement on the first. The first half low on quality offered little more than wayward shots from distance, body checks and sloppy passes. There has been no composure and little control, Vardy has been very isolated and Everton have struggled to take advantage of the odd promising position that they found themselves in. I might be back for the second half...or I might not. It is goalless at half time and neither side have threatened to change that throughout the first half. The fourth official has indicated that there will be just the one minute of stoppage time played - that's a blessed relief. Ouch! Zouma collides with the advertising board behind Pickford's goal after attempting to keep the ball in play. It did look like a nasty fall but he's up and ready to defend the Leicester corner. Showing his resolution and strength, it is he who heads the ball away from Ghezzal's corner ball. Ghezzal, who previously tried a long-range effort from 25 yards on the angle, goes for it again for Leicester. Like Vardy before him, it's also wildly off target. Leicester in need of some shooting practice. Or just a system better utilising their attacking players. Zouma collects the ball inside the Leicester half and shows a bit of positivity by shooting from way out. It goes wide but at least it's something. The action is starting to build around the Leicester area, meanwhile Vardy is all by himself in the sun. Richarlison is down again. This time it is Choudhury who body-checks the Everton forward with no attempt at going for the ball. The consequent free-kick was delivered from the right and headed towards goal by Zouma but it's easily claimed by Schmeichel. A committed challenge by Evans on Richarlison is met with boos from the home supporters. The Leicester defender plays a heavy touch and attempts to reclaim the ball with a robust sliding tackle, taking Richarlison out in the process. The Brazilian is now up having received some treatment. I cannot believe it! With neither side asserting any control on this game whatsoever, Everton win a free-kick close to the near touchline midway in the Leicester half. However, rather than taking the opportunity to send the centre backs forward and delivering a testing ball, they pass the ball back into their own half. Chance for Everton. Kenny strikes the near post having addressed the ball with confidence when it was pulled back by Digne across the area through a gang of laden-footed players. Vardy has been very isolated so far. One ball was thread through towards him just now but there was too much on the pass and the Leicester forward just gave up on chasing it. The quality of this match has been abysmal so far. If this is the standard of Premier League football that we have to look forward to in 2019 - which I'm sure it's not - wish us luck. Walcott tries his luck on the edge of the Leicester area, his shot strikes the arm of Evans. There were muted calls for a penalty but there was no way that the Leicester defender could have got out of the way. A first shot at goal...well, kind of. Gaye gives the ball away close to his own corner flag on the right to Vardy. The retired England striker brought the ball into the area but spooned his shot well over the crossbar. Untidy play all around. Both teams have been poor in possession so far, they keep passing the ball back to each other. Vardy had an opportunity to run free following a miss-placed pass by Digne, but he couldn't control the ball when in front of Keane. Also when play moves into the sunny side of the pitch, it is difficult to actually tell the two sets of players apart. A slow start to the match, as expected, Everton players are passing carefully amongst themselves without really going anywhere. We are underway - Everton are playing from right to left in their blue and white strip whilst Leicester have donned their grey and orange kit. A short round of applause is being observed prior to kickoff as we remember those members of both the Everton and Leicester family that we lost during the past 12 months. The players have emerged from the tunnel, all around Goodison Park are slightly bleary eyed. This fixture has averaged almost four goals a game since Leicester returned to the top flight in 2014, here's hoping that the supporters are repaid for their efforts in getting to the game this morning with another high-scoring match. 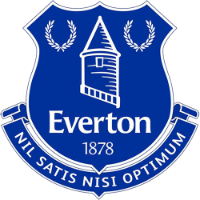 Everton: Pickford, Kenny, Keane, Zouma, Digne, André Gomes, Gueye, Walcott, Sigurdsson, Richarlison, Calvert-Lewin. Substitutes: Baines, Mina, Tosun, Bernard, Stekelenburg, Coleman, Davies. Leicester: Schmeichel, Simpson, Maguire, Evans, Chilwell, Mendy, Choudhury, Ndidi, Ricardo Pereira, Vardy, Ghezzal. Substitutes: Soyuncu, Gray, Maddison, Albrighton, Ward, Okazaki, Fuchs. That's all for now, I'll return with the pre-match build-up from Goodison Park in good time for kickoff on Tuesday. Everton forward Richarlison should be fit after suffering a knock during the weekend defeat at Brighton. While winger Ademola Lookman, who has missed the last three games with an ankle problem, will be assessed. Leicester are monitoring Jonny Evans and Wes Morgan, who both missed the defeat to Cardiff due to illness. Hamza Choudhury, who was rested for that game, is expected to return to the squad, but Daniel Amartey (ankle) and Matty James (Achilles) remain out. We will have confirmed team lineups about an hour prior to kickoff on Tuesday. "We don't have time to prepare in the normal way but that is the schedule and we have to put in our players' minds how important the next game is." "We have to change our recent form at home and give a different answer. It will be a tough match but we have to give 100% to win it." "Sometimes, this situation arrives. We will see the players available for us, the recovery and the rest. We want to try to have a good intensity in our performance against Everton." Everton only have one win in nine matches while Leicester have two in six; the Toffees have won four of the last five league meetings between the teams, including the last two, both by a 2-1 scoreline and they will be the slight favourites going into this match at home. However, it's a lack of consistency on both counts which continues to frustrate. They both secured excellent Boxing Day victories against Burnley and Manchester City but they were followed by disappointing reverses just three days later. 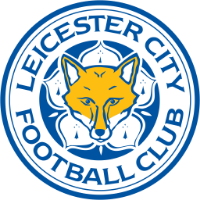 But it should be rich entertainment for the neutral as this fixture has averaged almost four goals a game since Leicester returned to the top flight in 2014. Everton and Leicester have been trying to be the 'best of the rest' in the Premier League after the 'big six' for a few seasons now. Positioned 10th and 8th respectively, they will both feel like European qualification is a strong possibility this season. Having both lost out to Burnley in the last campaign, both clubs will have the bit between their teeth this time round. Hello and welcome to VAVEL UK's live text coverage of the Premier League match between Everton and Leicester City from Goodison Park. I'm Oliver Miller and I'll be keeping you updated with the latest from Merseyside as Marco Silva's side aim to begin the new year with a win following a patchy festive period whilst Leicester will want to bounce back from defeat to Cardiff City. It is a 12:30pm kick-off on Tuesday and you can bookmark this page to stay up to date with the latest updates and team news as the match approaches.